During the last three quarters of a century, the rate and character of change in all human affairs have been phenomenal. 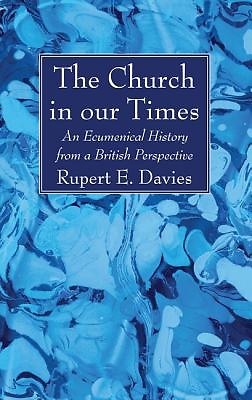 How has the Christian church in its various forms reacted the this series of revolutions--revolutions which have often vitally affected its own ways of thinking, its styles of life, and its worship? In particular, how has it responded to the idea of visible Christian unity, which long lay dormant, but now has taken fire in the lives of millions of its members? This book seeks to answer these and similar questions. It gives what is at many points an ""inside story"" of the significant events, since the author has taken an active part, and often a leading part, in a great deal of what he describes.